In Norse mythology, the Vanir (/ˈvɑːnɪr/; singular Vanr) are a group of gods associated with fertility, wisdom, and the ability to see the future. The Vanir are one of two groups of gods (the other being the Æsir) and are the namesake of the location Vanaheimr (Old Norse "Home of the Vanir"). After the Æsir–Vanir War, the Vanir became a subgroup of the Æsir. Subsequently, members of the Vanir are sometimes also referred to as members of the Æsir. Numerous theories have been proposed for the etymology of Vanir. Scholar R. I. Page says that, while there are no shortages of etymologies for the word, it is tempting to link the word with "Old Norse vinr, 'friend', and Latin Venus, 'goddess of physical love.'" In the Poetic Edda, the Vanir, as a group, are specifically referenced in the poems Völuspá, Vafþrúðnismál, Skírnismál, Þrymskviða, Alvíssmál and Sigrdrífumál. In Völuspá, a stanza describes the events of the Æsir–Vanir War, noting that during the war the Vanir broke the walls of the stronghold of the Æsir, and that the Vanir were "indomitable, trampling the plain." In Vafþrúðnismál, Gagnráðr (the god Odin in disguise) engages in a game of wits with the jötunn Vafþrúðnir. Gagnráðr asks Vafþrúðnir where the Van god Njörðr came from, for though he rules over many hofs and hörgrs, Njörðr was not raised among the Æsir. Vafþrúðnir responds that Njörðr was created in Vanaheimr ("home of the Vanir") by "wise powers" and details that during the Æsir–Vanir War, Njörðr was exchanged as a hostage. In addition, when the world ends (Ragnarök), Njörðr "will return to the wise Vanir." Alvíssmál consists of question and answer exchanges between the dwarf Alvíss and the god Thor. In the poem, Alvíss supplies terms that various groups, including the Vanir, use to refer to various subjects. Alvíss attributes nine terms to the Vanir; one for Earth ("The Ways"), Heaven ("The Weaver of Winds"), clouds ("Kites of the Wind"), calm ("The Hush of the Winds"), the sea ("The Wave"), fire ("Wildfire"), wood ("The Wand"), seed ("growth"), and ale ("The Foaming"). The poem Þrymskviða states that the god Heimdallr possesses foreknowledge, "as the Vanir also can." Sigrdrífumál records that the Vanir are in possession of a "sacred mead". In the poem, the valkyrie Sigrdrífa provides mystical lore about runes to the hero Sigurd. Sigrdrífa notes that runes were once carved on to various creatures, deities and other figures, and then shaved off and mixed with a "sacred mead." This mead is possessed by the Æsir, the elves, mankind, and the Vanir. In Skírnismál, the beautiful jötunn Gerðr first encounters the god Freyr's messenger Skírnir, and asks him if he is of the elves, of the Æsir, or of the "wise Vanir." Skírnir responds that he is not of any of the three groups. Later in the poem, Skírnir is successful in his threats against Gerðr (to have Gerðr accept Freyr's affections), and Gerðr offers Skírnir a crystal cup full of mead, noting that she never thought that she would love one of the Vanir. Flanked by her boar Hildisvini, the Vanr goddess Freyja (right) (1895) by Lorenz Frølich. The Vanir are mentioned in the Prose Edda books Gylfaginning and Skáldskaparmál. 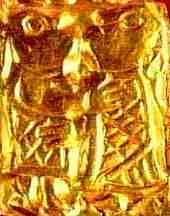 In chapter 23 of Gylfaginning, the enthroned figure of High relates that Njörðr was raised in Vanaheimr. High says that during the Æsir–Vanir War, the Vanir sent Njörðr as a hostage to the Æsir, and the Æsir sent to the Vanir the god Hœnir. The sending of Njörðr as a hostage resulted in a peace agreement between the Æsir and the Vanir. A wild boar in Northern Europe. 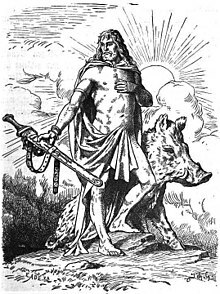 In the Prose Edda, "Van-child" is listed as a name for boars. Both Freyja and Freyr are attested as accompanied by boars. In chapter 57 of Skáldskaparmál, the god Bragi explains the origin of poetry. Bragi says the origin of poetry lies in the Æsir-Vanir War. During the peace conference held to end the war both the Æsir and the Vanir formed a truce by spitting into a vat. When they left, the gods decided that it shouldn't be poured out, but rather kept as a symbol of their peace, and so from the contents they made a man; Kvasir. Kvasir is later murdered by dwarves, and from his blood the Mead of Poetry is made. In chapter 6, poetic names for Njörðr are provided, including "descendant of Vanir or a Van". As reference, a poem by the 11th century skald Þórðr Sjáreksson is provided where Njörðr is described as a Vanr. In chapter 7, poetic names for Freyr are listed, including names that reference his association with the Vanir; "Vanir god," "descendant of Vanir," and "a Van." Freyja is also repeatedly cited as a Vanr. In chapter 20, some of Freyja's names are listed and include "Van-deity" and"Van-lady," and chapter 37 provides skaldic verse referring to Freyja as "Van-bride." In chapter 75, names for pigs are provided, including "Van-child." The Heimskringla book Ynglinga saga (chapter 4) provides an euhemerized account of the Æsir–Vanir War. As a peace agreement, the two sides agreed to trade hostages. The Vanir sent Njörðr and Freyr to the Æsir, and in turn the Æsir sent to the Vanir Hœnir and Mímir. Upon receiving Mímir, the Vanir sent the "cleverest amongst them," Kvasir. In Vanaheimr, the Vanir made Hœnir a chieftain. However, whenever Hœnir appeared at assemblies or meetings where the Vanir asked him his opinion on difficult issues, his response was "let others decide." The Vanir suspected that they had been cheated by the Æsir in the hostage exchange, and so grabbed hold of Mímir, cut off Mímir's head, and sent it to the Æsir. The same chapter describes that while Njörðr lived among the Vanir, his wife (unnamed) was his sister, and the couple had two children; Freyr and Freyja. However, "among the Æsir it was forbidden to marry so near a kin." By Odin's appointment, Njörðr and Freyr became priests over offerings of sacrifice, and they were recognized as gods among the Æsir. Freyja was priestess at the sacrifices, and "it was she who first taught the Æsir magic as was practiced among the Vanir." In chapter 15, the king Sveigðir is recorded as having married a woman named Vana in "Vanaland", located in Sweden. The two produced a child, who they named Vanlandi (Old Norse "Man from the Land of the Vanir"). Small pieces of gold foil decorated with pictures of figures dating from the Migration Period into the early Viking Age (known as gullgubber) have been discovered in various locations in Scandinavia, in one case almost 2,500. The foil pieces have been found largely at sites of buildings, only rarely in graves. The figures are sometimes single, occasionally an animal, sometimes a man and a woman with a leafy bough between them, facing or embracing one another. The human figures are almost always clothed and are sometimes depicted with their knees bent. Scholar Hilda Ellis Davidson says that it has been suggested that the figures are partaking in a dance, and that they may have been connected with weddings and linked to the Vanir, representing the notion of a divine marriage, such as in the Poetic Edda poem Skírnismál; the coming together of the Vanir god Freyr and his love, Gerðr. 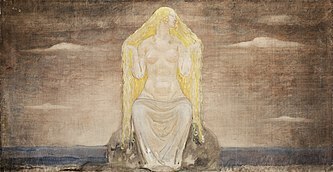 Like the Vanr goddess Freyja, the Vanir as a group are not attested outside Scandinavia. Traditionally, following Völuspá and Snorri Sturluson's account in the Prose Edda, scholarship on the Vanir has focused on the Æsir–Vanir War, its possible basis in a war between tribes, and whether the Vanir originated as the deities of a distinct people. Some scholars have doubted that they were known outside Scandinavia; however, there is evidence that the god Freyr is the same god as the Germanic deity Ing (reconstructed as Proto-Germanic *Ingwaz), and that, if so, he is attested as having been known among the Goths. More recently, the view put forward by Georges Dumézil based on Indo-European parallels has dominated, wherein the Vanir, like the Æsir, derive from the pre-Germanic heritage of Germanic religion and embody the third of the three "functions" in his trifunctional hypothesis: chthonic and fertility deities. Hilda Ellis Davidson theorizes that all of the wives of the gods may have originally been members of the Vanir, noting that many of them appear to have originally been children of jötnar. Davidson additionally notes that "it is the Vanir and Odin who seem to receive the most hostile treatment in Christian stories about mythological personages." Alaric Hall has equated the Vanir with the elves, and Joseph S. Hopkins and Haukur Þorgeirsson, building on suggestions by archaeologist Ole Crumlin-Pedersen and others, link the Vanir to ship burial customs among the North Germanic peoples, proposing an early Germanic model of a ship in a "field of the dead" that may be represented both by Freyja's afterlife field Fólkvangr and by the Old English Neorxnawang (the mysterious first element of which may be linked to the name of Freyja's father, Njörðr). Richard North theorizes that glossing Latin vanitates ("vanities", "idols") for "gods" in Old English sources implies the existence of *uuani (a reconstructed cognate to Old Norse Vanir) in Deiran dialect and hence that the gods that Edwin of Northumbria and the northern Angles worshiped in pre-Christian Anglo-Saxon England were likely to have been the *uuani. He comments that they likely "shared not only the name but also the orgiastic character of the [Old Icelandic] Vanir." In 2010 Rudolf Simek, building on an analysis by Lotte Motz, argued that vanir was originally nothing more than a general term for deities like æsir, and that its employment as a distinct group of deities was Snorri's invention, and the Vanir are therefore "a figment of imagination from the 13th to 20th centuries". Simek's argument is supported by a statistical analysis (published in the same journal issue) of the small corpus of poetic usages, which suggests that the term vanir was a "suspended archaism" used as a metrical alternative to Æsir. In contrast, in a concurrently published response, Clive Tolley argues that the term must have originated in historical usage, and as such "it is something of a misrepresentation of the evidence to suggest that Snorri is the main source for the vanir." Returning to the Indo-European origins theory, he argues that the Vanir strengthen the Æsir by contributing their relationality, their ability to absorb the other and their receptivity to sacrifice. In contrast, continuing the same journal thread, Leszek P. Słupecki argues that the Vanir remained distinct from the Æsir—except for Freyja and Freyr, whom he follows Snorri in seeing as having been born after Njörðr became a hostage among the Æsir, and thus regards as Æsir—and therefore that Ragnarök "[has] no importance for their world". The Vanir are featured in the poem Om vanerne in Nordens Guder (1819) by Adam Gottlob Oehlenschläger. Some Germanic Neopagans refer to their beliefs as Vanatrú (meaning "those who honor the Vanir"). ^ a b Byock (2005:44). ^ a b Hollander (2007:8). ^ a b Davidson (1988:121). ^ Hopkins and Haukur (2011). ^ Simek comments: "I believe that these are not mistakes that we are dealing with here, but a deliberate invention on the part of Snorri." Simek (2010:18). ^ Frog and Roper (2011:30 and 35). Frog and Roper, Jonathan (2011). "Versus versus the 'Vanir': Response to Simek's "Vanir Obituary". RMN Newsletter, No. 2, May 2011. The University of Helsinki. ISSN-L: 1799-4497. pp. 29–37. Hopkins, Joseph S. and Haukur Þorgeirsson (2011). "The Ship in the Field". RMN Newsletter, No. 3, December 2011. The University of Helsinki. ISSN-L: 1799-4497. pp. 14–18. Simek, Rudolf (2010). "The Vanir: An Obituary". RMN Newsletter, No. 1, December 2010. The University of Helsinki. ISSN-L: 1799-4497. pp. 10–19. Słupecki, Leszek P. (2011). "The Vanir and ragnarǫk". RMN Newsletter, No. 3, December 2011. The University of Helsinki. ISSN-L: 1799-4497. pp. 11–13. Tolley, Clive (2011). "In Defence of the Vanir". RMN Newsletter, No. 2, May 2011. The University of Helsinki. ISSN-L: 1799-4497. pp. 20–37.